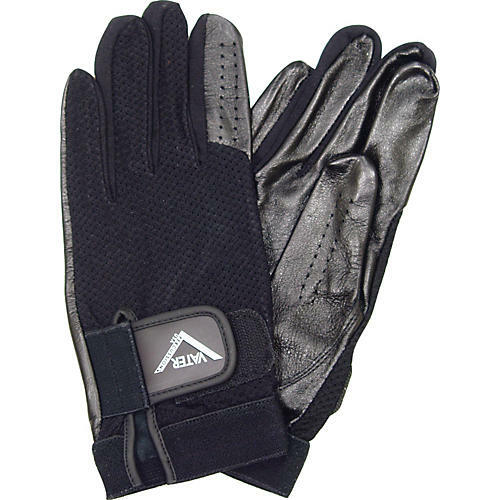 Improves grip and protects hands without compromising natural feel and sensitivity. Vater's gloves feature synthetic leather with a breathable mesh backing and elasticated panels on the sides of the fingers. This combination provides the drummer great flexibility, good fit, and improved ventilation to assure maximum comfort while performing. A new level of comfort for drummers.